Tuesday, April 8, 2014, 10 to 11 a.m., in the UAMC - University Campus Café. Greg Byrne and Rich Rodriguez will be guest speakers at event that benefits research to identify the causes and improve the diagnosis and treatment of the more than 100 forms of arthritis. The findings, published in Arthritis & Rheumatology, indicate that glucosamine does not decrease pain or improve knee bone marrow lesions—thought to be a source of pain in those with osteoarthritis, the most common form of arthritis, affecting 27 million Americans over age 25. 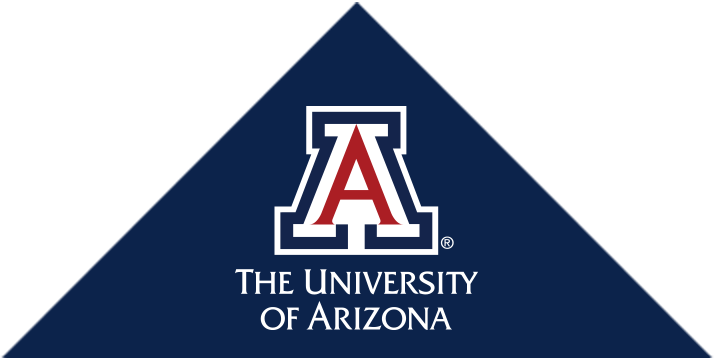 The Center for Sleep Disorders at the University of Arizona Medical Center -- University Campus has been accredited by the American Academy of Sleep Medicine (AASM) to perform out-of-center sleep testing. The president and CEO of Healthy Motivation and director of strategic relations for The Bone and Joint Decade, The Global Alliance for Musculoskeletal Health, is keynote speaker at the Annual Eva M. Holtby Arthritis Conversations and Lunch, sponsored by the University of Arizona Arthritis Center Friends and open to the public. Steve Goldschmid, MD, who has served as dean of the University of Arizona College of Medicine – Tucson since July 2009, has been appointed associate vice president for clinical affairs at the Arizona Health Sciences Center. The first in a planned series of multidisciplinary grand rounds events on New Health Innovations will take place on Thursday, February 6 at DuVal Auditorium and is targeted for physicians, professors, fellows, residents, students and staff at the Arizona Health Sciences Center and others interested in health innovation. University of Arizona Center on Aging Co-Director's many responsibilities with the UA College of Medicine attest to her achievements. The day of inspiration, empowerment and fun features keynote speaker Dr. Richard Carmona, who will discuss “Obesity: From Arthritis to Zoonoses, the Most Potent Accelerator of Chronic Disease,” and a lunch roundtable, “Living Successfully With Arthritis,” with University of Arizona Center for Integrative Medicine Assistant Research Director Perry Skeath, UA Arthritis Center Director Dr. C. Kent Kwoh and retired UA Clinical Lecturer (rheumatology and geriatric) Gail Kershner Riggs. Emad Elquza, MD has been named medical director at the UACC - North Campus. He was selected by leaders of the UA Health Network and the UA College of Medicine to serve as the medical director for the cancer clinics. The acquisition of the MRI unit, a Siemens 3T Skyra scanner, was made possible through a collaborative effort between the UA Office of Vice President for Research, UA College of Medicine, UA Department of Medical Imaging (formerly Radiology) and the University of Arizona Health Network. For people battling obesity, the New Year can be a time of renewed commitment and fresh starts. And for those who in the past have tried diet and exercise regimens without success, bariatric surgery might be the answer to a longer, healthier life. The study of sleep apnea is one of 82 proposals approved for PCORI funding to advance the field of patient-centered comparative effectiveness research and provide patients with information that will help them make better-informed decisions about their care. Rehabilitation of basic functional tasks, such as rising from a chair or walking, reduces fall risk, prevents loss of independence and increases mobility-related quality of life in patients with dementia. Dr. Carmona will address the obesity epidemic and its health, economic and security threat worldwide in his presentation, “Obesity: From Arthritis to Zoonoses, the Most Potent Accelerator of Chronic Disease.” A lunch roundtable, “Living Successfully With Arthritis,” will feature University of Arizona Center for Integrative Medicine Assistant Research Director Perry Skeath, UA Arthritis Center Director Dr. C. Kent Kwoh and retired UA Clinical Lecturer (rheumatology and geriatric) Gail Kershner Riggs.